In support of our update to Idaho’s Statewide Comprehensive Outdoor Recreation Plan (SCORP) we have an online survey targeting Idaho residents (and tourists). So far we’ve received 1500 responses, and want to make sure that we’re getting a good spread to a variety of residents across the state. If you are comfortable doing so, please share the post below on your organizations facebook page! Please let me know if you have any questions. If you want to talk about the SCORP – please call or email me! In October of 2016, I was asked to represent the snowmobile community on a panel as part of the Chief of the Forest Service’s Review of Region 1 in Missoula. Not only was the chief there but many of his key Washington staff. I was given three questions to answer. My answers are below. What is the Value of public land to you, your organization or interest that you represent. As appropriate, please consider economic, ecologic and social values. 61.6% of Idaho is ‘held in trust for the American people’ and managed out of Washington under an abundance of laws passed by people who have never been to our state and I suspect, most have never been on a snowmobile or plan to. These precious lands are where snowmobilers go to recreate. Their value is unmeasureable and we know that, because loss has taught us the value of those lands. A snowmobiler told me that he had spent hours listening to ‘old timers’ talk about where they use to ride. He used that as a source of motivation because he never wants to tell his children and grandchildren about where he rode, he wants to take them there and let them experience the wonder and joy for themselves. Yes, we know the personal value of those lands and we also know the value they bring to the rural communities surrounding them. The western states economies have transitioned from timber and agriculture to recreation and tourism. The Idaho State Snowmobile Association is in the final stages of updating their economic impact study. The last one was completed in 2005 by the University of Idaho. When it was released at Press conference in McCall, the head of the project Professor Garth Taylor said, “It is embarrassing how much money snowmobilers spend”. · A snowmobile visitor spends on average $317.00 per person/per trip to Valley County. Of that amount, $297.00 is spent in area visited. · 35% of the expenditures are for hotels followed by 26% on money spent on gas and oil for the both the tow vehicle and snowmobile. In the extremely low snow year of 2004/2005 millions of dollars were spent by snowmobilers across Idaho. Loss of snow and loss of access will result not only in the inability of the citizen owners of the public lands to enjoy the lands as we have for decades but the economies of rural communities will suffer even more devastation. Over snow use is gaining in popularity because of the ‘snow bike’ and the hybrid user. Both are bringing younger people into the sport. That doesn’t mean that over snow vehicles should be allowed on every acre of the national forests but any restrictions should be established on good scientific data, not on perceptions or assumptions. Decisions driven by real and substantive resource problems or by congressional designations are not at question. However, social issues, such as conflict, drive many allocation decisions. We understand that these decisions must be made, but the present methods by which they are made we believe, must change. All users of the public lands must be treated equitably. No one user group should have greater rights than another. When striving for compromise all parties must have an equal chance of winning or losing. The public land agencies should be able to manage conflict in the context of its real importance in the given situation. Simply eliminating a use because some other user group doesn’t like them isn’t good enough. What opportunities and or issues do you see on the horizon for the Forest Service and your organization? When thinking about answering this question it occurred to me that almost every opportunity has a flip side—it-is also was an issue! For example, winter travel planning. It is an Opportunity for the forest to evaluate all areas including those currently closed to specific uses and to determine which areas are suitable or unsuitable for the various winter recreation activities. While designated wilderness is not available for motorized recreation, it is exclusively available for non-motorized winter recreation and should be considered as such in determining the mix of uses. In performing this evaluation take into account new information, new science, and changes resulting from agents such as wildfire. One of the few benefits from catastrophic fire is that it opens up play areas for over snow vehicle although we long for the day when that was accomplished by logging! It is an issue because likely the Forest will start where they are and the result will be additional closures. There will be pressure from those who prefer other forms of recreation to close more areas to snowmobilers even though there is to my knowledge not one single acre that provides exclusive use for snowmobilers. All our areas are shared and we have no problem with that, in fact, we advocate responsible shared use. It is an Opportunity because of new information and scientific studies being completed. For, example, the results from years of studying wolverines in Idaho, will soon be completed. This study came about through of the efforts of the snowmobile community. When the Payette proposed to close thousands of acres to sledding based on wolverine concerns without any science to back up their proposal, we worked with Jeff Copeland to start the study. The results that I have seen show that wolverines choose to live in high recreation areas. It is apparent that wolverines are reacting to recreational presence based on increases in activity levels and movement rates. The question then is whether or not this has a negative impact on their health or reproductive rates or anything else. It is important to note that this study is about winter recreation, both motorized and non-motorized and how it impacts wolverines. And then we have the lynx. Initially so little was known about lynx that management standards were literally pulled out of the hat. One unproven hypothesis advanced was that the lynx’s competitors would follow packed snowmobile trails into lynx habitat and compete with them for their primary winter food source, snowshoe hares. Lines were drawn on maps to identify lynx habitat based solely on unsupported criteria such as elevation, incorporating areas that never have and never will have lynx. And in The Kolby Paper entitled The Effect of Snowmobile Trails on Coyote Movements within Lynx Home Ranges in the Journal of Wildlife Management he concurs that snow compaction from snow machines is not detrimental to lynx. It is an Issue because no amount of science has persuaded one forest to amend their Forest Plan to remove the no-net gain. The snowmobile community pleads with the Forest Service to base decisions on good reliable science and to then use it when it is provided. What can we do together to seize those opportunities and address those issues? It has been a pleasure to have had the opportunity to work with the Forest Service since the late 70s--that was before the Frank was Frank, when logging ruled, and few in North Idaho talked about recreation except jet boats on the Wild and Scenic Snake River. But the question is “what can we do together”? We spend a great deal of time together at the table, perhaps it is time to spend some in the actual field. Not only would relationships be built but we could have real time conversations about impacts, needs, possibilities, and wildlife concerns. The Forest is tasked with making the decisions that impact not only users but the economic security of many communities. It would seem that firsthand experience would provide a clearer picture of the issues than simply by reading dry comments. If you are willing to go out and ride with us, I promise that ISSA and the Montana Snowmobile Association are ready to take you whenever and I promise, we will bring you back just as we found you only you will have a huge smile on your face. We all know the Forest Service budgets continue to decline but the need to maintain trails does not. One of the biggest needs for both the OHV and OSV community would be a real time trail repository for each forest. Where we could track trail maintenance, what has been done and what needs to be done. Working together we could make that happen. The OHV and OSV community can help secure the necessary funding. Thank you for this opportunity to speak with you today. It is greatly appreciated. But perhaps there is one more question that should be asked---What can the users do to help you? We JUST got wind of this rally. We apologize for the short notice. We are hearing that a monument announcement may be coming this week. We predicted this back in the early part of 2016...we hope to be wrong on this one. The time is now to voice your concerns about a Bears Ears national-monument proclamation that appears to be imminent. This afternoon in Salt Lake City, people will gather on the steps and in the rotunda to advocate responsible use by holding signs, speaking with press, etc. Apparently it will be followed by a counter-protest full of Native American and non-native monument supporters. Let's show them that many people of all ethnicities challenge the need for our president to unilaterally proclaim everything from the Navajo Reservation up to Hurrah Pass as a national monument. It's an opportunity to demonstrate our passion, but also our reason, as alternatives like simply improving BLM's existing management or passing the Utah Public Lands Initiative make it completely unecessary for the president to proclaim a national monument that's long on acreage and short on local support. Granted, instead of the 1.9 million-acre boundary proposed by the Bears Ears Intertribal Coalition (which is funded by wilderness groups), the administration seems poised to go with a 1.3 million-acre boundary based on NCA's proposed by the Utah Public Lands Initiative. Unfortunately, the monument proclamation wouldn't include the PLI's language requiring land managers to relocate any problemmatic routes rather than closing them outright, nor the benefits outside of Bears Ears such as recreation zones and the Red Rock Country OHV Trail, not to mention a limitation on future national-monument proclamations in the affected counties. In short, a 1.3 million-acre Bears Ears monument would be yet another overreach that makes Antiquities Act reform all the more pressing. Wilderness groups complain that wilderness bills haven't been passing in recent years. Well, for one thing, land is finite, so they should expect the rate of new designations to dimish. What's more, wilderness groups have begun designing wilderness bills to fail! The bills have been inflated in order give the administration political cover to proclaim a monument. In the case of the Bears Ears, the wilderness groups exploited part of the Public Lands Initiative bill to rationalize another monstrous monument. The wilderness groups had no intention of following through with the legislative track, but they went through the motions to run out the clock. Specifically, the Bears Ears Intertribal Coalition pledged to provide their proposed "co-management" language to congressmen Bishop and Chaffetz, but on November 30th BEIC finally said that it wouldn't give the "co-management" language unless the congressmen agree to a 1.9 million-acre boundary and several other demands that were above and beyond what could be provided, even by a monument. The administration had encouraged BEIC to give the PLI a chance, but it didn't do enough to compel BEIC to meaningfully negotiate. While BEIC was all too willing to be a pawn for wilderness groups, the systemic problem is that the Antiquities Act continues to undermine the legislative process, and allows uncompromising groups like SUWA to coopt the traditional conservation lobby in D.C.
Two decades after the proclamation of Grand Staircase-Escalante National Monument, the PLI has shown a better way of achieving conservation without losing recreation and economic opportunities. Another monument would destroy the collaborative process for decades to come. At least we can say that we tried to prevent this breakdown of negotiations, which is why it's simportant to show up at today's rally. Several years ago, I saw a sign that read, “Don’t confuse habit with commitment”. It is so true, often we do things because we always have or always should but not because we are motivated by passion. I fear at times that many members of the Idaho State Snowmachine Association (ISSA) have lost their passion for this amazing organization and many new people don’t know enough about ISSA to develop a passion for it. Perhaps it is time for an ISSA 101 Course! Let’s reignite our Passion. Here we go, a crash course in ISSA and no, there will not be a quiz! #1 goal of ISSA is to promote our access to the public lands! In case you haven’t noticed, there are many who do not want you to ride on public lands. ISSA is dedicated to keeping the gates open and the land available for your use. This is done by working with federal land managers, the Idaho Legislature, State Agencies, the Governor and Congress. ISSA is not new to the political world. ISSA was instrumental in passing the original snowmobile registration act, sponsored and passed legislation that created a special snowmobile vehicle license plate, set up the first in the nation search and rescue fund and created the non-resident trail fee. One would be hard pressed to find any member of the Idaho Legislature who is not familiar with this amazing organization. But we do not just work the halls of the Legislature. Members of ISSA have also walked the Halls of Congress supporting or opposing legislation. Because of ISSA, the American Council of Snowmobile Associations does a yearly snowmobile fly-in to DC. It was our idea and we made the first trip happen. ISSA is powerful within the political world because of its members who care and are involved. ISSA makes sure its members are never the last to know! Our magazine Snow Biz is published 6 times a year and if you choose, you can receive our ‘Public Land Alerts’. Members of ISSA are informed on what is happening in Idaho and in the nation and we make it easy for them to participate in all the planning processes that impact our sport. ISSA is a proud advocate of the philosophy of Responsible Shared Use. Unlike many other organizations, it does not suffer from ‘tunnel vision.’ We believe that all have a responsibility to care and share the land and no one group has greater rights than another. ISSA is not one of the ‘shrill’ voices clamoring for their way or no way. Thus, we have gained the respect of Forest Service officials in Idaho, in the Regional Offices and in Washington. Does that mean, we don’t push back when we don’t like a decision or a policy, absolutely not--we oppose decisions and we litigate when necessary. Over 15 years ago, the ISSA Legal Defense Fund was created because many major land use decisions are made in the courts. It is vital that ISSA is a party to litigation that affects our sport. Snowmachiners must challenge bad decisions because a bad decision in one forest sets the stage for bad decisions in other forests. ISSA is committed to doing everything they can to ensure that snowmachines will be riding in their favorite riding places today and for all the tomorrows to come. ISSA is the glue that binds snowmachines together from one of the state to the other. We have a long and proud history of protecting your right to ride. We have worked hard, but we have also had great fun along the way. ISSA is worth your time, your energy and your passion! This morning the Senate passed the National Forest System Trails Stewardship Act. This legislation is now on the President's desk awaiting signature. Idaho currently has almost 4,792,969 million acres of designated wilderness-- only Alaska and California have more! Before we decide if want more, we should discuss exactly what it is and what it isn’t. As defined in the 1964 Wilderness Act, wilderness is undeveloped federal land retaining its primeval character and influence. The natural forces prevail, without man’s interference. Man is a visitor who doesn’t remain and his works are substantially unnoticeable. It provides outstanding opportunities for solitude or a primitive and unconfined type of recreation. The Act prohibits commercial enterprises, structures, roads, motorized equipment, and mechanized (mountain bikes) transportation. It then goes on to enumerate a few, limited exceptions allowing such activities as outfitter-guide services and administration. The focus of wilderness management is perpetuation of its wilderness character. Wilderness is a place where the natural forces prevail and fire is among those forces. While fire was historically suppressed, it is now permitted to more nearly play its natural role. Wilderness is not for most types of recreation. A limited amount of recreation can take place there, but only the most primitive kind. Wilderness is not managed for wildlife, stable ecosystems or rare and endangered species. Nature rolls the dice. Species come and go, as they have for eons. Fires may destroy old growth harboring spotted owls, landslides or siltation from flash floods may ruin endangered salmon habitat or make it inaccessible. Wilderness provides habitat for wildlife, but it can’t be managed to benefit any species. Wilderness designation does not assure things will stay as they are. The land and living things it supports are dynamic, in constant flux. Wilderness designation does not insulate it from outside influences. Exotic plants invade, such as spotted knapweed, and displace native species. Urban air influences nearby wildernesses. Passing aircraft produce sounds of the modern world. Wilderness does not necessarily confine its natural processes within its borders. Insect and disease outbreaks can escape into surrounding lands. The same is true of fires. Smoke from wilderness fires can blanket entire regions for months, making the air barely breathable and devastating tourism. Idaho, like much of the West, is a growing State. We have seen a population growth of nearly thirty percent in the past decade or so. And we are becoming more urban, with more than 80% of our population now living in town. With all this growth, there is a need to increase recreational opportunities for the public, not to limit opportunities. Idaho is a State full of folks that like to recreate. Our region of the country has the highest rate – over 80% -- of people that regularly participate in outdoor recreation. As more rural land continues to be developed, and there are less open spaces to enjoy, the public will increasingly turn to the federal public lands for recreational activities and the scenic beauty that comes with them. The most popular activities today include bird viewing, hiking, backpacking, snowmobiling and off-road driving. There are currently 2 and perhaps 3 ongoing efforts to designate more wilderness in Idaho. Snowmobilers need to be alert and involved in any and all discussions about more wilderness. What you do today, will determine where you, your children and grandchildren will ride tomorrow. Stay involved because together we can be successful in protecting your favorite riding area which may well be someone’s idea for the next wilderness area! The Wilks brothers, two Texas billionaires, purchased 172,000 acres of private property in Valley County that was previously owned by Boise Cascade and then Potlatch. That hit the news and the uproar began. The media certainly didn’t help by jumping to many incorrect assumptions! Albert Einstein was right when he said, “Assumptions are made and most assumptions are wrong”. · DF Development LLC which is owned by two gentlemen from Texas purchased the property. · All logging contracts were cancelled. They will be reissued according to the guidelines of the new owners. · Most public access through their property is done through cost share agreements or easements. The new owners are willing to work with Valley County on any access concerns. · Representatives of the company are currently having regular conversations with Larry Laxson, Valley County Parks and Recreation about future use of their land. · This company owns property in Idaho County and according to a County Commissioner there, they are fine landowners and good partners. · The owners of the property are not experienced with recreation needs but they are more than willing to listen and learn. · While touring the land before the purchase, they became concerned about over-logging, the size and condition of the elk herds and the amount of GARBAGE in and around the dispersed camping sites. If we are going to be allowed to continued access to their property beyond what is covered by easements, we are going to have to prove that we can be good neighbors and dependable partners. We will need to demonstrate that they can trust us to use their land in a responsible manner. Remember they are under no legal obligation to allow public access anymore than you have to let people use your property. It is truly a privilege and we must respect their right to determine how their property is used. A good lesson for all of us--Verify our easements. Make sure they are ‘Easements Appurtenant’. What is that you ask? An easement is the right to use another’s land for a limited purpose. Most easements will be “appurtenant” to the involved properties. That is a fancy way of saying the easement permanently “runs with the land” and may not be transferred separately from the property. Another case of bad information from the media! If you believe everything you hear on TV news, you would think that all grooming has been shut down for this winter near Idaho City because of the Pioneer Fire. That simply isn’t true! No decisions about grooming have been made. The fire will soon be 100% contained. At that time, the Forest Service will be able to tell what needs to be done before grooming can begin. I plan on attending a FS tour of the area at the end of the month and will be able to see firsthand what the problems are and how we can resolve them. It is hard to find good news when it comes to catastrophic fires but there is some. The District Ranger in Idaho City, Brandt Petersen, is one of the most dedicated fair-minded Rangers with whom I have ever worked. He understands how important the area is to sledders and to the local economy. ISSA will work closely with the Forest Service and IDPR to get as many areas as possible opened. ISSA made news in the New York Times! Although this article does not convey the reality of how the snowmobile community respects the lands and wildlife of our country, it tells a story of a beautiful animal with whom we share our lands. This article has nothing to do with snowmobiling. It is another attempt to restrict access to public lands. We do not snowmobile with the Caribou. Nor do we encroach on there habitat. This article is one of the most bias reads that I have ever read. Judge for self and read on. The Only Solution Big Enough! I have had the opportunity either to live in or travel to almost every part of the West and I am continually stunned by its beauty and grandeur. The deserts, the mountains and the prairies all speak of the blessings given to us. The west is truly resource rich and yet I find myself often looking at an expanse of land and wondering “how did we mess this up?” With all these resources, why is the largest export product from the rural communities our children? Why does the rural population shrink each year? Why are there millions of acres with no use? Why do the number and the intensity of wildfires grow each year? When did wildfires become catastrophic fires? Who benefits from blackened trees, scorched sterile earth and dead wildlife? If all wealth comes from the earth, why can we not mine, harvest timber, or recreate where appropriate? The problem is that over half of land in the West is held by the Federal Government. Twelve states in the West are being treated differently than the 38 states whose federally held lands were given to them for management. The decision for the Federal Government to retain these lands was made in 1976 by Congress in a piece of legislation entitled the Federal Land and Policy Management Act (FLPMA). As a result, the western federal lands continue to be managed out of Washington, DC under an abundance of laws passed by people who do not live in the West, do not understand our way of life, and often do not care how we are impacted. If things continue as is, I can guarantee you that snowmobilers are going to be forced into smaller and smaller areas. It won’t be because of resource issues but rather as a result of ghastly decisions from judges, bad federal legislation, and endless regulations from the land management agencies. Since 1796, Congress has included in each State’s act of admission a statement that says: when a State enters the Union it is, “on an equal footing with the original States in all respects whatever”. How can Idaho or any Western state be equal to the Eastern States when we cannot inhabit a great deal of the land or use the resources from those lands? How can Montana, Alaska and Idaho have “equal footing" in Congress with their one or two Congressmen stacked up next to the Eastern states’ representation such as New Jersey’s 13 or Rhode Island and Virginia’s 11 congressmen. Why does the South have a booming timber industry and we do not? If we want better access, better health and better productivity, then this is the answer! Let Westerners manage their own land. There is legislation in Washington, DC currently being proposed that would require states interested in obtaining federal lands to petition the federal government for the lands they wish to acquire. The transfer would be done in an orderly fashion, not all at once. In Idaho, discussions are under way to amend the state constitution so that any lands acquired would be managed under a state multiple use plan. It will also say that none of the lands could be sold. These are all ideas being discussed. There are many hurdles to cross and elections to get through before anything actually happens. 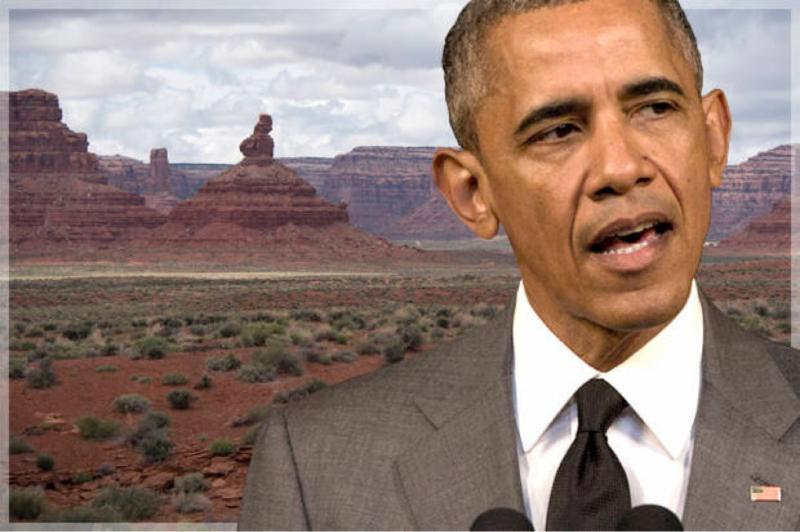 Many times the question has been asked, “Can Westerners manage the federal lands within their states?” Wrong question. The right question is, “who could possibly manage the these lands worse?” We who live in the West are bright, resourceful people who love the land and will make sure that it is managed well for this and future generations. So what do we do? The short term solution is we continue doing what we have learned to do so well. We participate in the process--that means more meetings and writing more comments and we stay involved in politics at both the federal, state, and county levels. We actively promote and protect the sport we love. That is a given but I believe there is a long term solution and the time has come! The Federal Government needs to transfer the public lands to the Western States and counties in which they lie. We need to manage our own lands! The promise to the Eastern states at the time of their entry into the Union is the same one made to us here in the West, but they got their lands and now we want ours. Two Texas billionaire brothers now own a big chunk of S. Idaho? ARRRRRG! Read the article. This is not good for our public land use and we MUST do something. One of the largest chunks of private land in Southern Idaho changed hands for the second time this year and the apparent new owners already have a reputation for shutting the public out. Southern Pine Plantations, a private timberland investment company based in Macon, Ga., sold the 172,000 acres of timberlands. Those forests, primarily in Valley, Boise and Adams counties, are intermingled with Boise National Forest, Payette National Forest and Idaho state endowment lands, along with other nonindustrial private lands. The deed, which was filed in Valley County on Tuesday, lists D.F. Development LLC as the new owner with Robert Early as the contact at a mailing address in Cisco, Texas. A Wilks Brothers purchase in Southern Idaho would be par for the course. The Wilks have been buying as much as 300,000 acres of land in Montana over several years. They bought 38,000 acres of land in Idaho County, completing the deals in 2015, and apparently closed access to local residents for hunting and recreation, the Lewiston Tribune reported. The Tribune reported that, according to the Idaho County Assessor’s Office, the brothers started buying ranches in western Idaho County in 2008, worth a combined total of $2.4 million. The brothers did not talk to the Tribune. The Great Burn Saga Continues! This section of the Nez Perce-Clearwater National Forest provides some of the finest primitive riding in North Idaho. In fact, to find a comparable area in size and geography, one would have to travel to the Selkirk Mountains adjacent to Revelstoke, BC . It is truly unique and because of that, ISSA has been embroiled in the fight to keep it open since 2004. We have submitted comments, filed an objection but in the end, we were forced to decide whether to walk away from the area or file a lawsuit. We chose the latter. Eventually the Forest Service decided to settle and an agreement was reached that required the Forest to ‘make a new decision based’ on the alternatives in the Record of Decision before the next winter season. After a number of extensions, they have recently issued a new decision. Regretfully the new decision is the same as the old decision which prohibits snowmobiling in the Great Burn. Once again, there are no resource issues or social issues that justify the closure it is simply because of the policy-guideline of Region 1 to manage areas Recommended as Wilderness as Wilderness. There is no Forest Service Policy or Rule that requires them to do so. ISSA has filed an objection to that decision. “We are deeply disappointed by the Draft ROD. In fact, we view it as a stubborn step backwards in the reasoned dialogue we have attempted to have with USFS personnel in Region 1 and the Forests. The proverbial elephant in this room is the misbegotten “guidance” and the extent to which the Forest Service will defend it, or assure us of its demise. Instead, the Draft ROD reflects a half-hearted yet belated effort at ending up exactly where we started. The Great Burn is a classic example of why snowmobilers must stay united. The opposition we have mounted could not be done by one club or a few individuals. It takes the resources of a committed statewide organization to protect our access to the backcountry. This is an issue we see popping up in every corner of the state. The cause can be a new land owner who chooses not to allow public recreational use or private property owners who want roads closed that provide access to public lands. Whatever the reason, the result is a loss of access. First and foremost, we must respect private property; however, there are ways to resolve the problem if there is a willingness on behalf of the private property owners to do so. The most common method would be through the purchasing of an easement. An “easement is a nonpossessory interest in another's land that entitles the holder only to the right to use such land in the specified manner”. In our case it would be a recreation or transportation easement giving us the ability to cross or use private property. There is another kind of easement called a prescriptive easement. This is an easement upon another's property acquired by continued use without permission of the owner for a period provided by state law to establish the easement. As you can well imagine, this kind of an easement is usually resolved in a court of law. Know that there are options if faced with this problem; however, it is wise not to wait until access is lost or a private property is closed. Be proactive: Identify trail systems that cross private land or roads that are necessary for access to public lands. Work with the land owners to see if they are willing to provide a recreation easement. If not, look for an alternate trail. ISSA continues our efforts to protect our access on many fronts from one end of the state to the other. We understand that what we do today will determine where we ride in the future and today like all other days, we chose to do everything possible within the political, administrative, and legal processes to make sure that we won’t have to settle for telling the next generation about where we rode, we can show them. Everyone who owns a snowmobile has a stake in this fight! Please spread the word about our challenges and about the organization that is working to ensure there are places to ride! The more members we have, the more effective we can be. Whether you snowmobile, ride an OHV, boat, or are a backcountry aviator, if you don’t have access to the public lands, you might as well as sell your recreational vehicle of choice. No one understands this better than the Idaho State Snowmobile Association (ISSA) and no other organization has been fighting to protect your access as long we have. ISSA has been successful in the administrative process, in the state legislature and in Congress and with your help; we will continue to do so. A number of years ago, ISSA participated in a lawsuit with the Idaho Recreation Council against the Payette National Forest because of their OHV Travel Plan which closed 80% of the roads in the Krassel Ranger District. Many of the roads were necessary for winter access as well as for summer use. We prevailed in court and as a result a collaborative group was formed to resolve the road issues. For over two years, stakeholders have been meeting monthly to find agreement on which roads/trails can be opened. The issues involved are complex and numerous. They include private property, ESA listed species, mercury contamination, cost benefits of road improvement, large scale mine development, access for the public, economic impacts to small communities, tribal interests and others. Those are big and difficult issues but because it is important to recreationists, we have stayed involved. Idaho Conservation League and others are constantly trying to close public land to all recreation except there elitist form. No more wilderness! The line has been drawn! The Idaho State Snowmobile Association has filed for a grant from the RTP fund to purchase orange snow poles to be used by the 29 grooming programs thru out the state. ISSA will work IDPR Trails Staff to assist with the distribution of the poles. Individual grooming programs will seasonally place where there is need for trail identification or a hazard exist. BOISE, ID (April 2, 2013)--Snowmobile advocates today responded to a recent decision in United States District Court for the District of Idaho, which directs the U.S. Forest Service to promulgate new motorized travel management regulations. The decision was released on March 29, 2013, and declared unlawful the agency's 2005 Travel Management Rule for violating "plain language" in a forty-year old Executive Order and allowing it to be "discretionary" whether the Forest Service designates "areas of use or non-use" by snowmobiles. The 2005 Rule was years and millions of dollars in the making. While it is typical to conduct further proceedings to determine a proper remedy in an environmental case like this, the court's decision simply announces a new rule must be issued within 180 days. The parties to the case, including snowmobile advocates Idaho State Snowmobile Association, American Council of Snowmobile Associations, and BlueRibbon Coalition, are still interpreting the court's ruling. "This is either a tectonic shift or much ado about nothing," stated Sandra Mitchell. "Forest Service rules and maps have for decades regulated not only areas of 'use and non-use' but details to the gnat's eyelash regarding winter use of specific roads and trails for motorized and non-motorized users. If it does anything, this decision will create unnecessary controversy and further sap the planning budget of an agency already fearful of being raided in the name of fiscal reform," added Sandra. The BlueRibbon Coalition is a national recreation group that champions responsible recreation, and encourages individual environmental stewardship. With members in all 50 states, BRC is focused on building enthusiast involvement with organizational efforts through membership, outreach, education, and collaboration among recreationists. Last week the bill IDPR sponsored to move registrations to ITD was held in committee. We thought the issue was done for the year but not so. IDPR continues to be committed to making the transfer happen this year. After having heard repeatedly that “IDPR has to do it” and “they don’t want to” we decided that the only way to resolve this issue was to clarify the statutes to say that IDPR ‘may’ but doesn’t have to. (legislation attached) That gives IDPR the option but does not require them to share information with ITD. We have never believed that titling and registrations are connected; furthermore, we do not believe that it was the intent of recreationists to connect them when registrations were created. Simply put, all we ever wanted to do was collect money, pool it, and put it on the ground to build the infrastructures needed for our sport. We also believe that the registration program should be managed by people with a vested interest in making it successful. Although we continue to talk with the leadership of IDPR, we believe it critical that our legislation move forward. Time is running out on the 2013 Legislative Session. If a compromise is reached, we can pull the bill. 2. The hearing for H 279 is tomorrow, Thursday afternoon, in the House Transportation and Defense Committee at 1:30 p.m. We need people to attend and people to testify. It is absolutely critical that the committee knows this issue is important to the recreationists. Plus it will be FUN! If you have any questions, please do not hesitate to contact me. Thank you and remember, we need you! Interestingly, the registration program was originally housed in ITD. The history of the registration program is attached also. I think you will find it extremely telling! We are asking for your help PLEASE! Our snowmobiles and trailer were stolen from Gillette sometime between Tues 03.05 and Sat 03.09. Both machines were on the Yachtclub trailer, along with a small pull behind dog sled trailer. We have filed a police report-----but??? PLEASE keep your eyes out for these for us, and post this where you can. They are older, but in good condition with low mileage. They did not have covers on. 1 was a Christmas gift. We can be reached at the # in the flyer, or by return email. If you are unable to open the attachment, please let me know and I will paste the info in the body of the email. WE SO appreciate your HELP! !